New In Canada? Looking for the perfect bank? Don’t stress, Canada has one of the safest banking systems in the world. A list of the top 5 banks to consider. Including an overview of the whole banking sector in Canada. 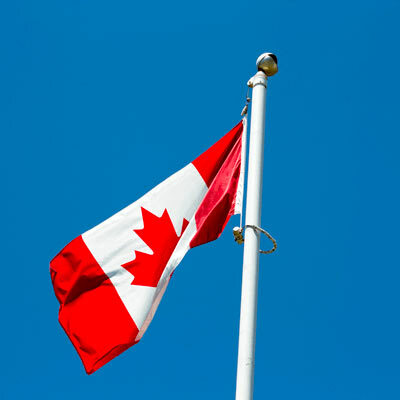 Banking in Canada has long been considered to be one of the safest banking systems in the world. Canada has approximately 18 000 automated banking machines (ATMs) which is the highest number per capita in the world. Banks offer extensive information making banking simple for newcomers. Anyone with the necessary identification requirements is eligible to open a bank account. Canadian banking offers accounts that are specifically tailored to appeal to newcomers, however banking in Canada is relatively affordable regardless. You could be charged anywhere from $5 to 30$ per month depending on the type of account as well as the number of transactions. In the unfortunate event that a Canadian bank is to collapse, your accounts and money are protected if the banking institution is a member of the Canada Deposit Insurance Corporation, which happens to be every bank in Canada. Canada is big on saving and banks offer a wide variety of saving accounts to help you save. Select saving accounts even accumulate earning tax-free. As a newcomer in Canada you’ll be pleased to know that it’s very common to be offered free banking for your first year in Canada. This gives you ample time and freedom to shop around for an account which best meets your needs. When looking for the right bank for your needs, it is vital to consider branches and banks which are close to home or your place of work with favourable trading hours. For the most part, banking in Canada is as straightforward as can be.